These days, coffee has upped its game quite a bit when we talk home brewing. Gone are the days of the automatic drip just like grandmum used to make. Now, there are better ways because coffee lovers these days are are in favour of a slower perk. 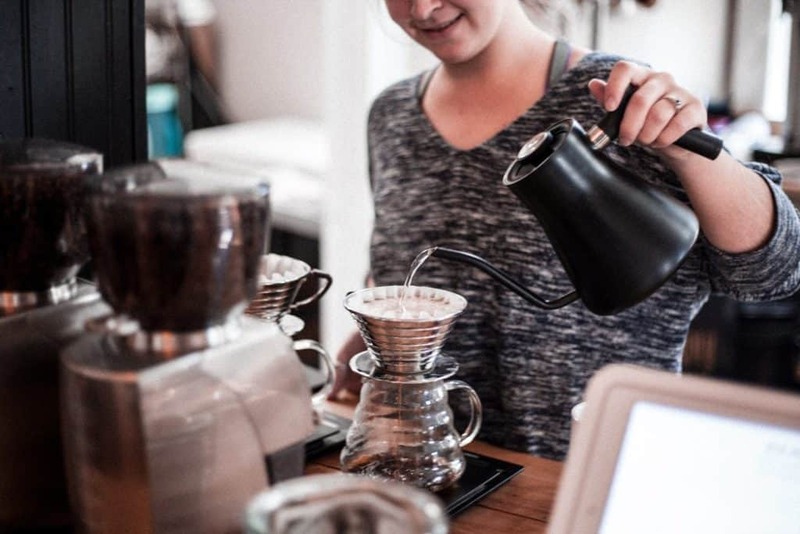 Pour over coffee makers are becoming increasingly popular among all generations — young and old. Not because it looks awesome when brewing, or it makes you look popular. A pour-over coffee maker gives you the kind of control you long for when it comes to brewing your morning cup of coffee. 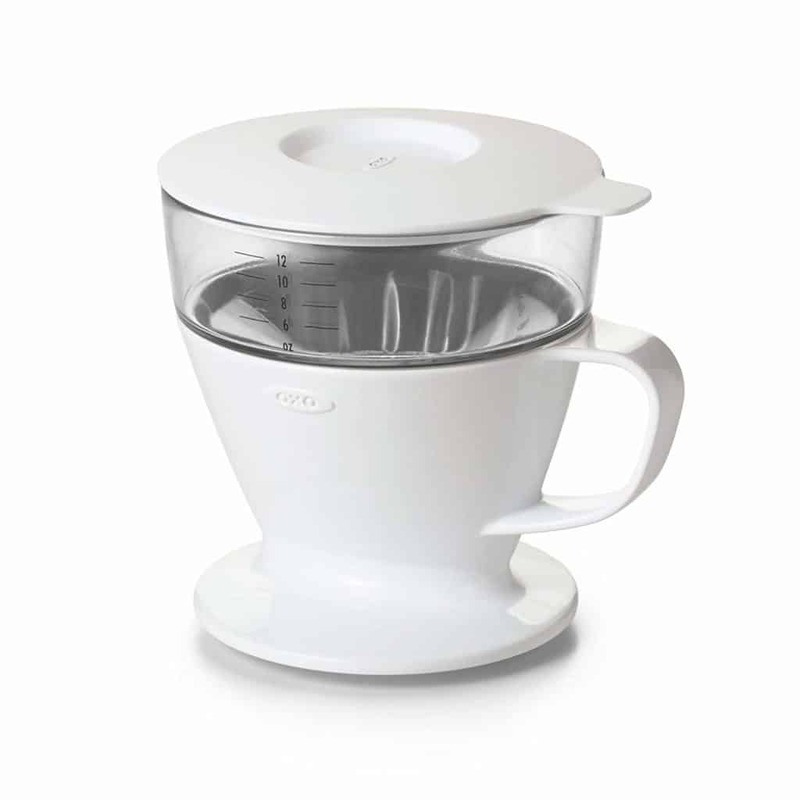 This brewing method allows you to control the temperature and flow of water. The best part though about using a pour-over? You are also in control of the circulation and expansion of coffee grounds that result in a fuller bodied and more flavoursome brew. 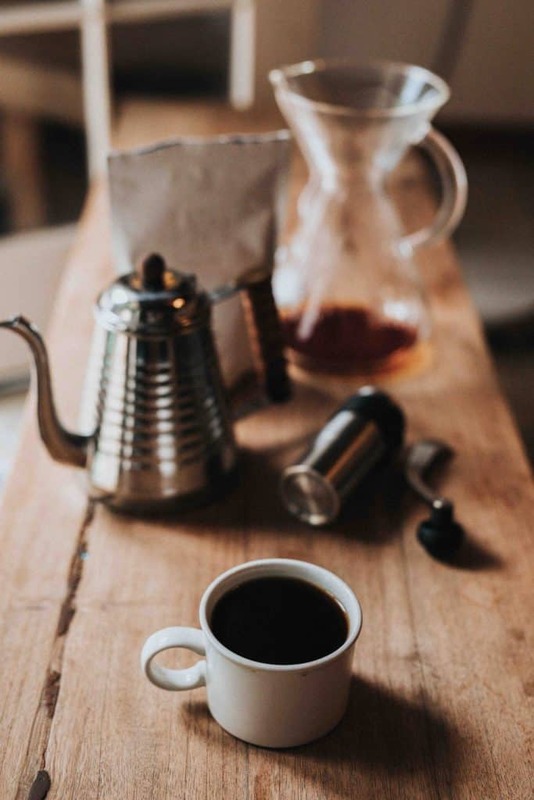 Not only does the pour-over coffee maker help you to create an amazing cup of coffee in the morning (or evening for that matter), but it also helps you to slow down and appreciate your day. You find yourself being mindful of your time with no rushing involved. Using a pour-over coffee maker is just as easy as it looks! All you need to do is pour the hot water over the coffee grounds that are placed in the funnel filter and wait. That’s the hardest part. Now that you are sold on making coffee with a pour-over coffee maker, which one do you choose? There are so many options out there that will help you make an excellent cup of coffee, but we have narrowed it down to this year’s top performers to help you narrow down your choices. 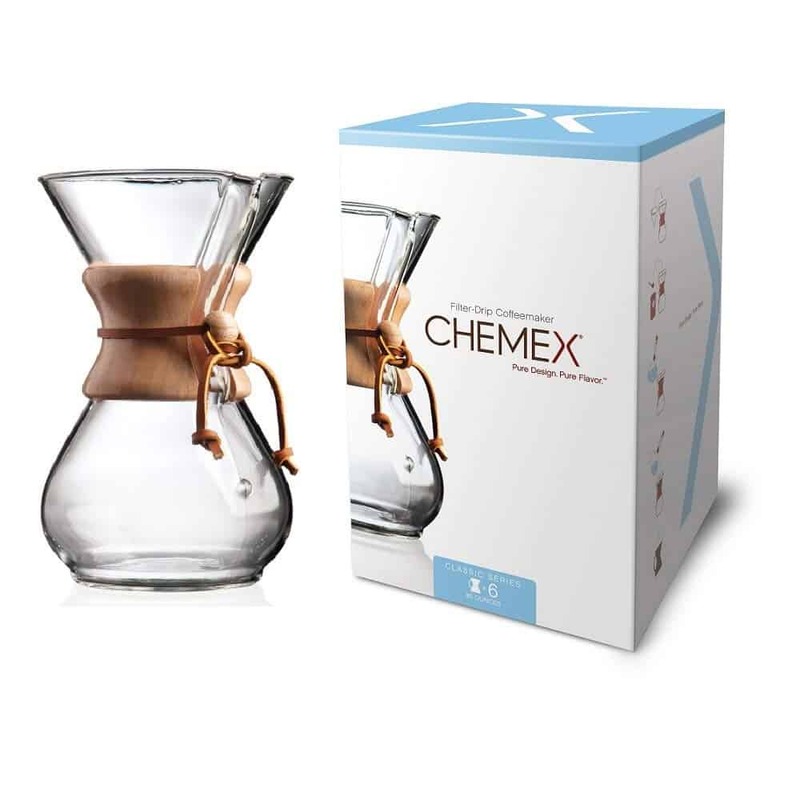 The Chemex Pour Over coffee maker is multi-serve dripper that serves up 34oz per pot (the average cup is around 50z). It offers excellent, rich taste and robust aroma while maintaining the natural oils of the ground coffee. 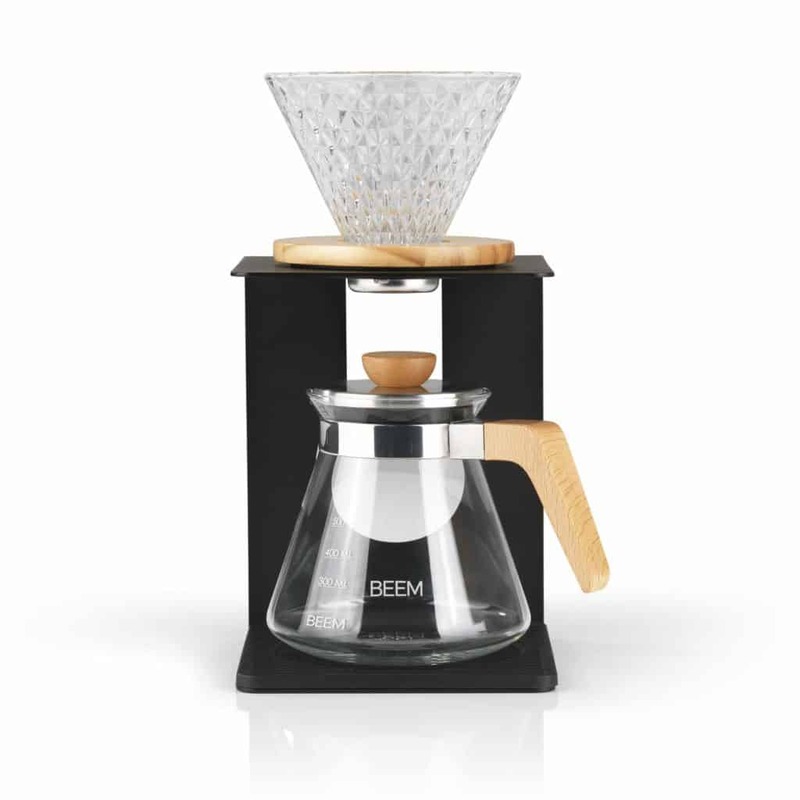 Up to 4 cups of Pour Over coffee can be prepared and served in the glass jug of the BEEM Pour Over coffee maker set. Simply put the lid on it and the coffee stays hot for longer. Also in terms of design, this set has a lot to offer: whether horizontal or vertical, the frame offers different stand options and the coffee filter is an adaptor, it can be used with or without a stand. The silicone pad is not only used to protect your furniture but also ensures a non-slip stand of the jug. A frame made of aluminium, a coffee filter and glass jug as well as elements in wood look – a modern and design-oriented material mix, which attracts everyone’s attention! Two different hole sizes automatically regulate water distribution for ideal brew time. The curved design of the Brewing Flask filter out grounds and sediments. Let the grounds and sediments SOAK – SINK – SETTLE, before SERVING – SLOWLY! Unique innovative brewing flask with filterless design, perfect for coffee, tea and cold brews. 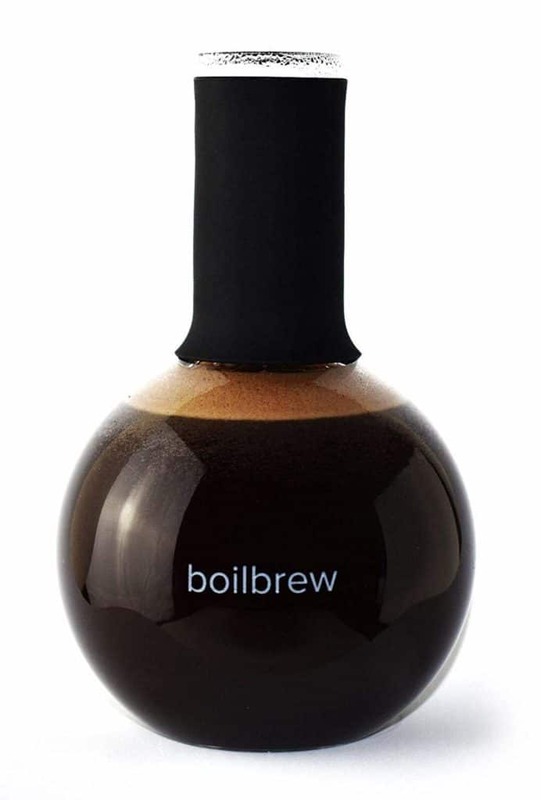 Suitable for leaving in the fridge over long periods of time, for a rich, smooth and pure cold brew. Easy and simple to use. Practical brewing tool for a high-quality manual brew. Borosilicate 3.3 glassware for extreme toughness and thermal resistance. Used by high-end restaurants, laboratories and wineries. And now available for coffee-shops and coffee tea enthusiasts. Brew your own favourite cup of coffee or tea at home, in the office or outdoors! Hypoallergenic, lead-free and BPA-free Borosilicate 3.3 glassware. Have complete peace of mind knowing that no toxins are being leached into your favourite beverage. Easy to clean with hot water and a drop of detergent, shake and pour, or upside down in the dishwasher. The unique cone mesh filter and pour over carafe style coffee maker has the ability to coax a wider range of flavours from your ground coffee beans than any other coffee pot on the planet. Borosilicate glass goes from hot to cold with ease. It’s the preferred glass used in premium manual drip coffee brewers. 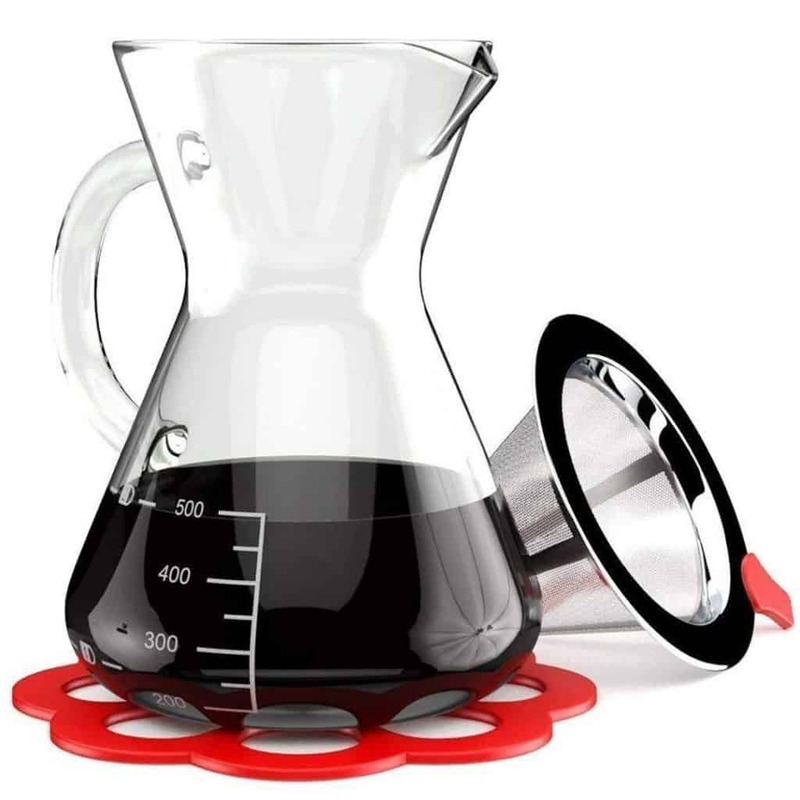 Attractive and functional hourglass beaker style carafe features genius stay-cool handle. Holds a generous 16-oz. Never absorbs odours or chemicals so every cup tastes fresh. You can say goodbye to ever having to buy another paper coffee filter. High-quality stainless steel mesh won’t rob your coffee beans of their precious and flavorful oils the way paper will. 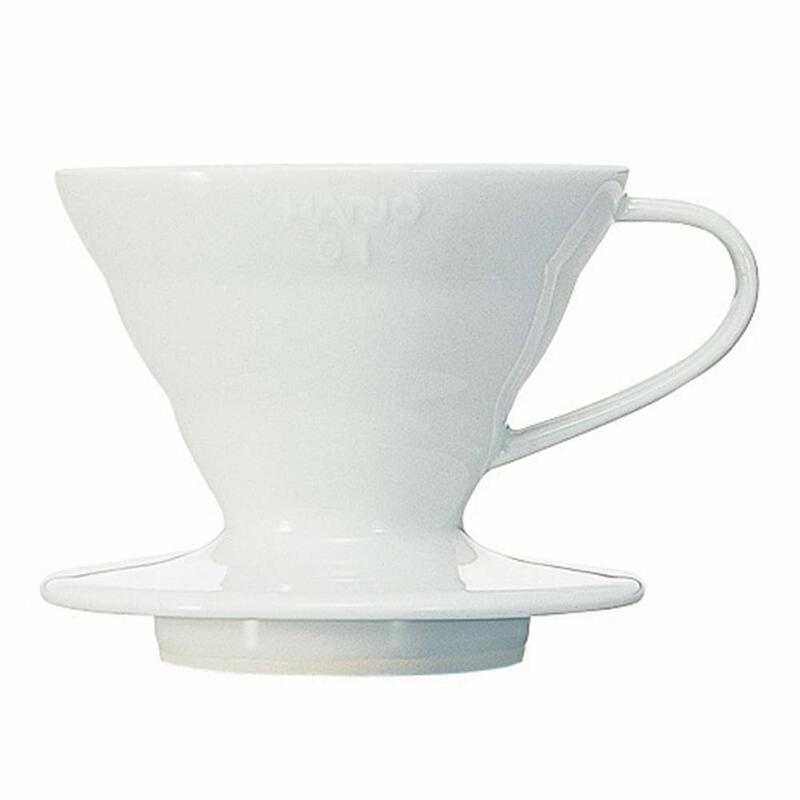 The cone shape allows the coffee to brew thoroughly as the hot water takes its time filtering down to a single point. 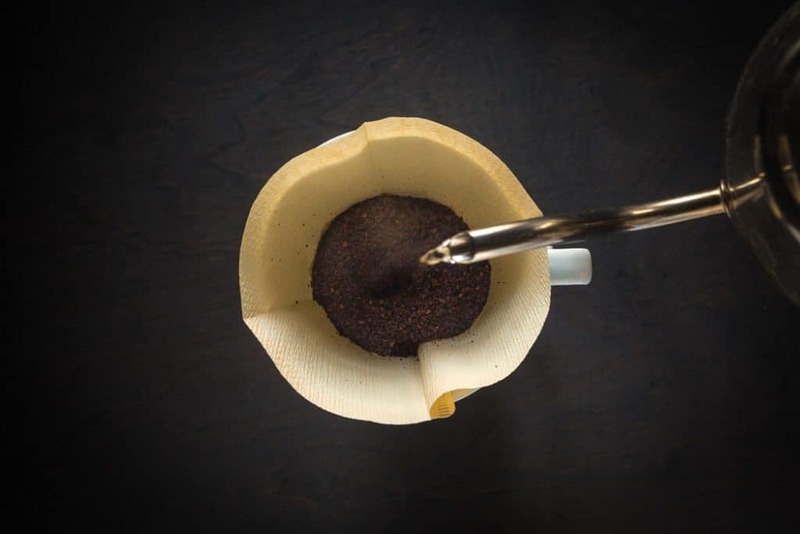 A red food grade silicone tab on the cone filter makes it easy to remove a hot filter prior to pouring yourself a delicious cup of Joe. A coordinating red silicone trivet gives you a safe and distinctive place to set down your pour over brewer. Now that you have some options to choose from, let’s talk about some of the elements that will help you choose the right one. You need to decide right from the get-go how much you want to spend on your affordable pour over coffee brewing system. Are You a Novice Coffee Maker? Should You Choose Single Serve or Multi Serve? Depending on how much coffee your drink, or the number of people who drink coffee with you, will determine if a single serve is ideal for you. If you are someone who chooses a product based on brand, then you may already have in mind what you are looking for. If you’re willing to think be open minded, you will find that sometimes the cheaper brands do everything your favourite brands do. Pour over coffee makers are the ideal choice for anyone who loves the authentic smell and taste of freshly ground coffee in their home. Every coffee loving home should have one! I hope this list has helped you to narrow down your favourite choice for an affordable pour over coffee maker for your home brewing!